May is Disability Insurance Awareness Month. Each year, insurers, adjacent businesses, agents, brokers, employers and industry organizations come together to remind the American public about the risk of income interruption, the consequences of being unprepared, and the importance and value of disability insurance. This year, The CDA campaign highlights a simple truth when it comes to disability insurance: When you buy it, you are insuring yourself—your skills, experience, and ability to work. 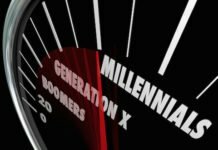 The campaign focuses on working adults under 40, recognizing when people start out in adulthood they are particularly vulnerable to a period of lost income. 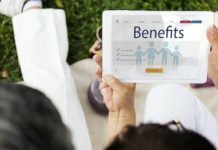 Since most people with disability insurance obtain it at work, The Council for Disability Awareness is concurrently organizing a campaign aimed at small and medium employers, entitled “Disability Insurance: A Benefit for All.” The campaign focuses on why employers should offer disability insurance benefits to their employees. • 1 in 4 of today’s 20-year-olds will become disabled before reaching age 67. • Only 33% of private sector workers have access to long-term disability benefits through their employer, and 40% have access to short-term disability benefits. • Workers who are considered “full-time” are more likely to be covered—50% for short-term disability, and 44% for long-term disability. • Employees of small companies are much less likely to be covered. At companies with fewer than 100 workers, 29% have access to STD, 23% have access to LTD.
• Part-time workers are much less likely to have income protection than full-time workers. Only about 1 in 7 part-time workers have access to employer sponsored short-term disability. Only 5% of part-time workers have access to employer sponsored long-term disability. Twenty-six million Americans are considered part-time workers. • Most people who have disability insurance obtained it through their employer. Our 2014 America’s Income Protection Picture study found that around 75% of people with disability insurance obtained it in the workplace. Other studies find the percentage to be even higher. Overall, we estimate that less than 1 in 10 American workers owns a disability insurance policy they obtained outside the workplace. 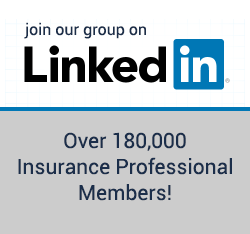 • Over 2 million people a year apply for Social Security Disability Insurance (SSDI) benefits, and over 700,000 are approved. • Almost 9 million American disabled workers currently receive SSDI benefits. Most have no other source of income. • Social Security Disability Insurance (SSDI) benefits average $1,171 a month2—which is just above the 2017 federal poverty line for an individual. • SSDI replaces less than half of the income of anyone earning over $30,000 a year. Roughly 75% of full-time workers in America earn more than this threshold, and are therefore at risk of severe income loss if they experience a disability. 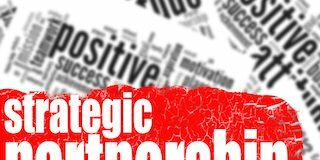 • SSDI is difficult to qualify for. The application process can take months or even years, and applications are generally only approved for disabilities expected to last a year or more. America’s income protection gap is a serious concern for businesses, for the public as a whole, and most importantly—for those individuals and families who are uninsured. 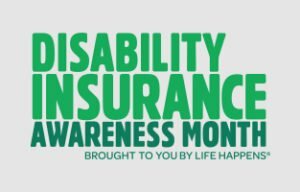 The Council for Disability Awareness calls on everyone during Disability Insurance Awareness Month to help educate working people about the importance of income protection to their financial security. Click here to view the Council for Disability Awareness’ DIAM Fact Sheet. This is likely because many people think a disabling illness or injury will never happen to them. 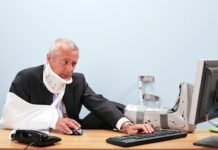 But according to a Life Happens survey, a person has a 3 in 10 chance of suffering a disabling illness or injury that would keep them out of work for three months or more during their career. Life Happens Pro and Pro PLUS members can access the resources here; non-members can sign up for Life Happens Pro – LITE to receive free limited access to the resources. The following infographic from the Council for Disability Awareness can be downloaded here. A similar infographic aimed at the general public can be downloaded here.